Calling All Unforgettable Women & Men!What a explosive opening to The Unforgettable Woman International Conference! 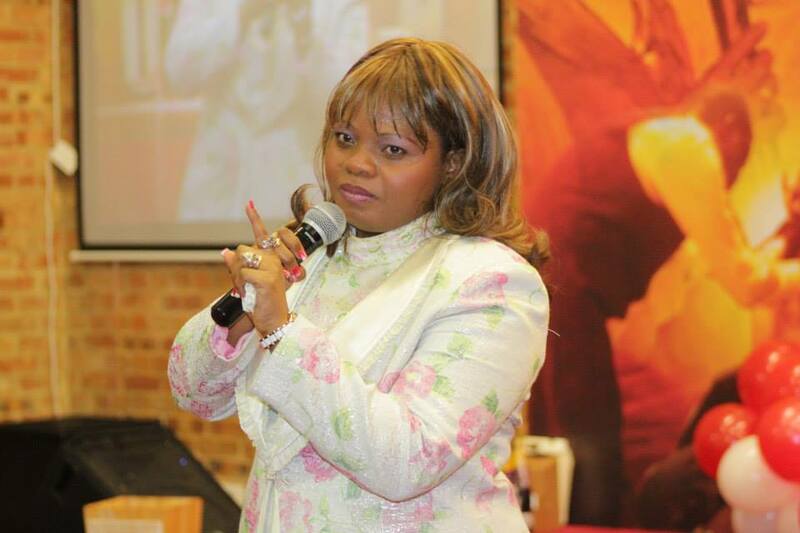 First Lady Dr Jennifer Irungu, Taught an incredible message about The Athaliah Spirit! We also had ,powerful guest speaker, Apostle Helen Saddler (USA) who briefly shared on Proverbs 31:29 (KJV) “Many daughters have done virtuously, but thou excellest them all…” We were also joined by Bishop Deborah Belton (USA) and many more great guests who will be sharing with us during this Unforgettable week! Its an exciting time for us here at The Kingdom Church London! This week will be truly unforgettable! View the pictures from our powerful opening Wednesday word service from U.W Conference and view “Kingdom Principles” Our weekly segment by Prophetess Beryl Nelson All Out Today Find them all on Our TKC London FB Page! This Week At TKC London 21st November – 24th November 2013! Tonight Day 2 for our second special Word Conference Service! This will be a powerful service that you do not want to miss with special guest speakers! Tomorrow at 2pm Join us for our Singles Seminar! Join us with the powerful woman of God as there share on being a proverbs 31 woman! Join us at 7pm for our Word Service filled with many Special Performances! We have a singles session starts at 2pm! And Evening serving starts at 7pm! Dress code is Red and black! Come to the Kingdom Church London is the place to BE! Join us for this fantastic service. Saturday 23rd November we have a Marriage Session Starting at 1:30pm & Join us for our 5 star Unforgettable Dinner 7pm–11pm at The Kingdom Church London! “He welcomes me to his banqueting table and his banner over me is love. I’m sitting in his desired shade and his fruit is lovely to eat and everyone can see how much he loves me. (Song of Sol 2:3-4) Tickets for The Unforgettable Dinner are on sale now! Adults tickets £10.00 per person and tickets for children (aged 6years – 16 years) £5.00. Dress to impress for the dinner! Expect to be entertained as we are having a wedding show! Make sure you attend this fantastic Evening! Sunday 24th November Join us at for our Grande Finale Sanctification Service at The Unforgettable Woman Conference. Dress code for Sanctification Service is all white. 8-9AM it’s Morning Glory! Join us and start this special early morning service to start your Sunday in prayer! 11AM – 2:30PM Word Service: Come and attend this fantastic family service filled with special performances and more! Come hear the word from international dynamic woman speakers! Become an Unforgettable Woman! 3PM – 6PM Miracle Service:– As the conference comes to end attend this powerful service which will be filled with Unforgettable Woman & Men! Partake in this special anointing and walk into your destiny! Today Discover Two Powerful Components That Bring Amazing Miracles & Breakthroughs Into Your Life! Read Prophetic Word From Bishop Climate & More!